October | 2011 | 50 Westerns From The 50s. Happy Halloween From John Dierkes. Character actor John Dierkes appeared in a string of really great 50s Westerns: Shane (1953, above, on the left), Silver Lode (1954), The Raid (1954), The Left Handed Gun (1958, he’s beyond terrific in this) and The Hanging Tree (1959), to name a few. His other credits include The Thing From Another World (1950), The Red Badge Of Courage (1950), Abbott & Costello Meet Dr. Jekyll And Mr. Hyde (1953), Friendly Persuasion (1956), One-Eyed Jacks (1961), The Haunted Palace (1963) and The Omega Man (1973). 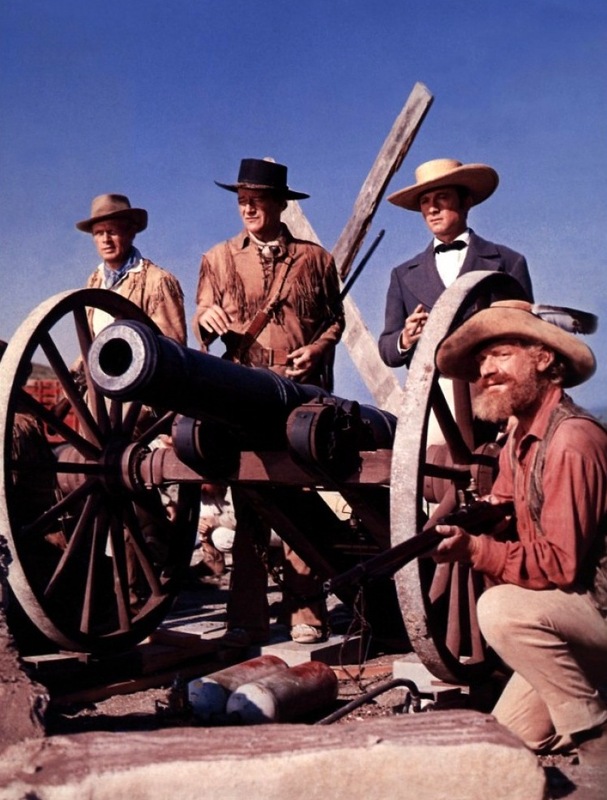 Not to mention John Wayne’s The Alamo (1960, below, he’s at the bottom right). Just recently discovered that he tested for the part of Lurch on The Addams Family. 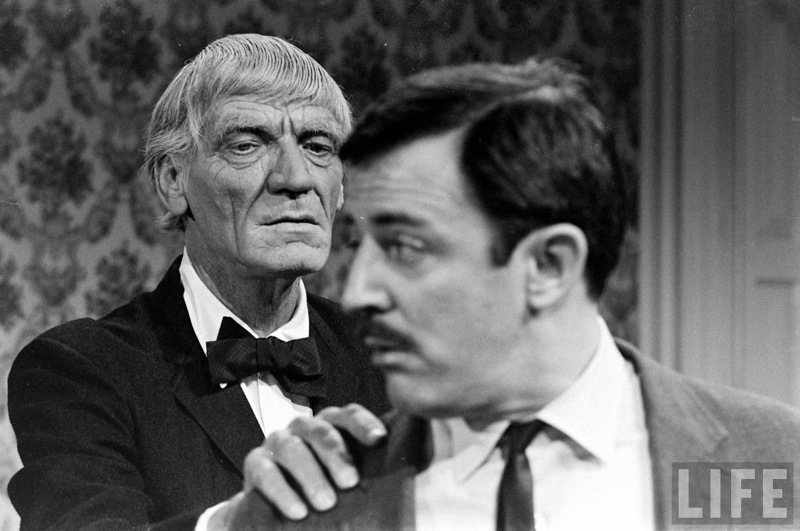 Of course, the part went to Ted Cassidy. Can I open it early? 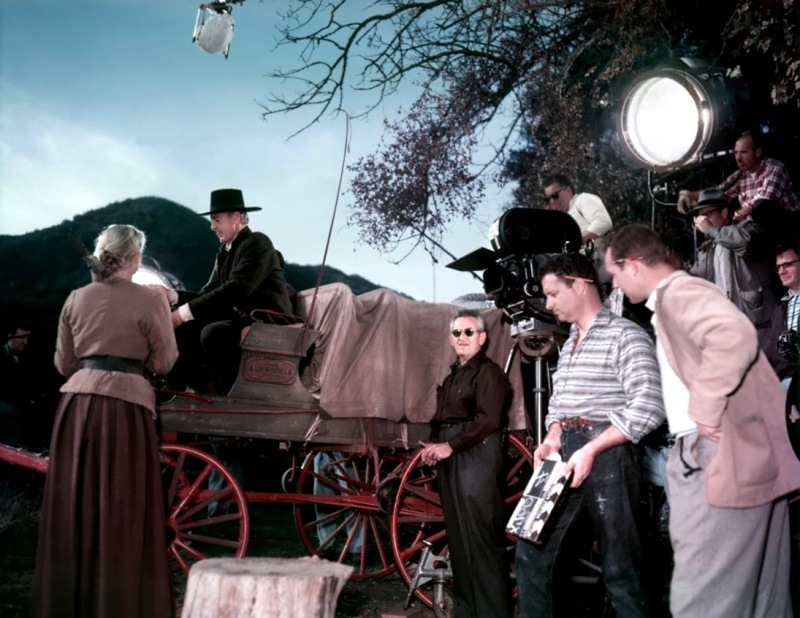 Noticed Randy hadn’t ridden through this blog in a while, so here’s Phyllis Kirk on Thunder Over The Plains (1953) and its director Andre de Toth. Sources: I Was A Monster Maker by Tom Weaver, The Films Of Randolph Scott by Robert Nott. At the end of 1949, the Motion Picture Herald announced the top stars for the year, as chosen by exhibitors. 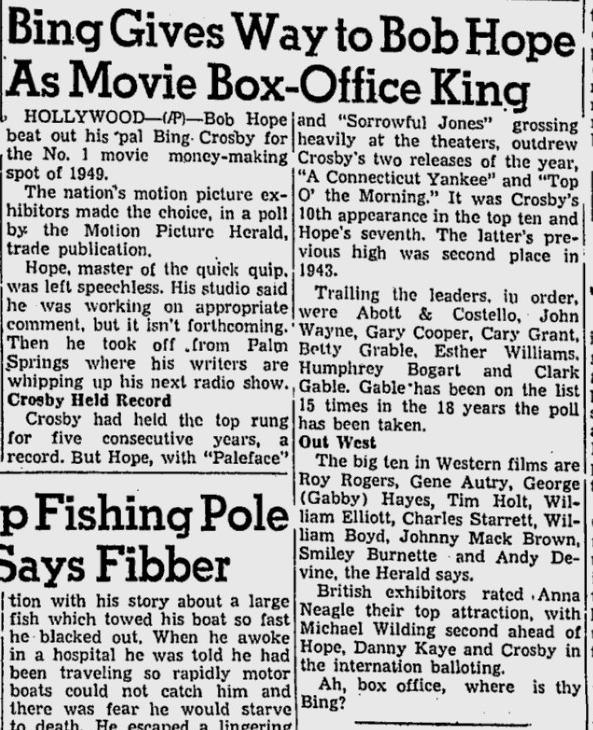 As you can tell from the headline, Bob Hope took the top slot away from Bing Crosby, with the help of The Paleface. Being that Bob never got the girls in their films together, this might’ve been a bit of a consolation. There was a separate list for Western stars, with Roy Rogers being indeed the King Of The Cowboys. Looking at this list today, you can easily see the change in the Western genre that was about to take place. 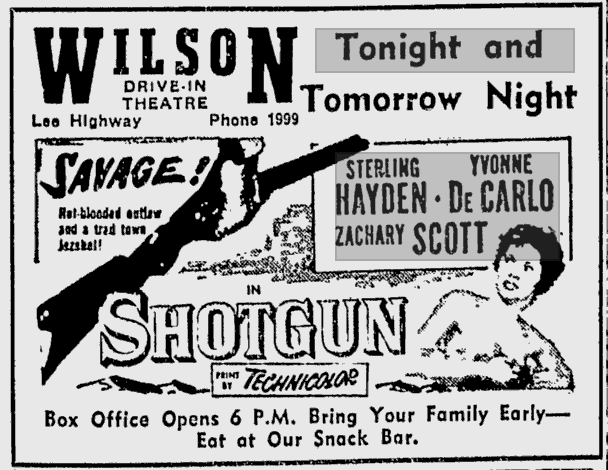 By the next summer, The Gunfighter and Winchester ’73 (both 1950) would show us what a 50s Western was — and by 1953, most of these cowboys were out of theaters for good. 1. Roy Rogers: Roy’s TV show would debut in 1951. His last feature would be Son Of Paleface in 1952. 2. 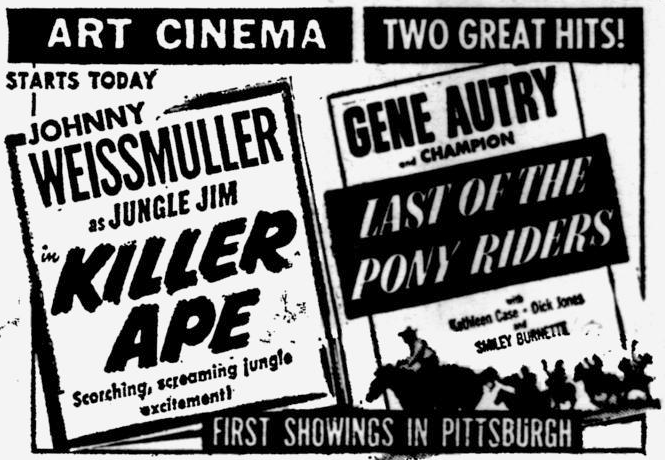 Gene Autry: On television by 1950, he’d leave the big screen with Last Of The Pony Riders (1953). 3. 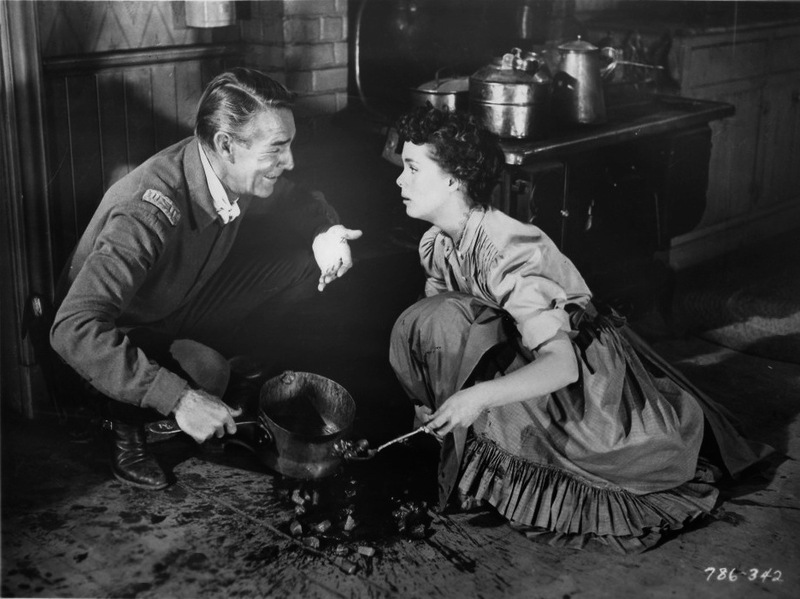 Gabby Hayes: Cariboo Trail (1950) with Randolph Scott would be Gabby’s last picture. He’d have his own TV show the same year. 4. 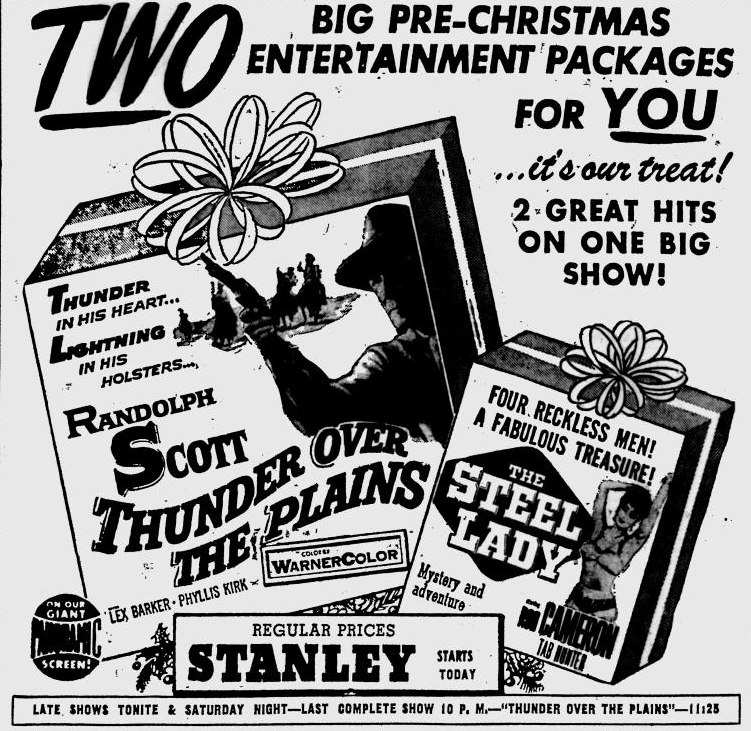 Tim Holt: His excellent series for RKO would wrap up in 1952. 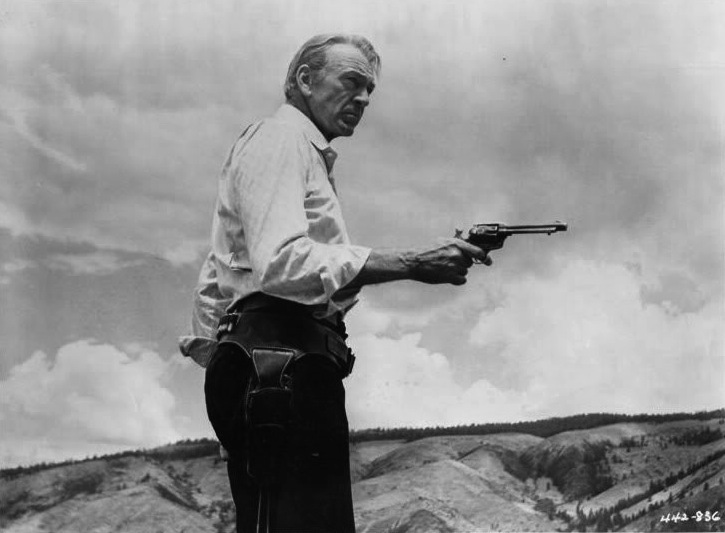 He wouldn’t make another Western. 5. William “Wild Bill” Elliott: His last Western came in 1954, with the last of his Monogram/Allied Artists pictures. His last feature was released in 1957. 6. Charles Starrett: Like Holt, Starrett would ride into the celluloid sunset in ’52 with the last of his Durango Kid pictures. 7. William Boyd: Hopalong Cassidy would make the switch to TV in 1952, and hang up his spurs in ’54. 8. Johnny Mack Brown: His last series Western came in 1953, but his career kept going into the 60s. 10. Andy Devine: Andy’s filmography was always a diverse one, and he rode out the death of the series Western with ease and continued in features (including The Man Who Shot Liberty Valance) and on TV. 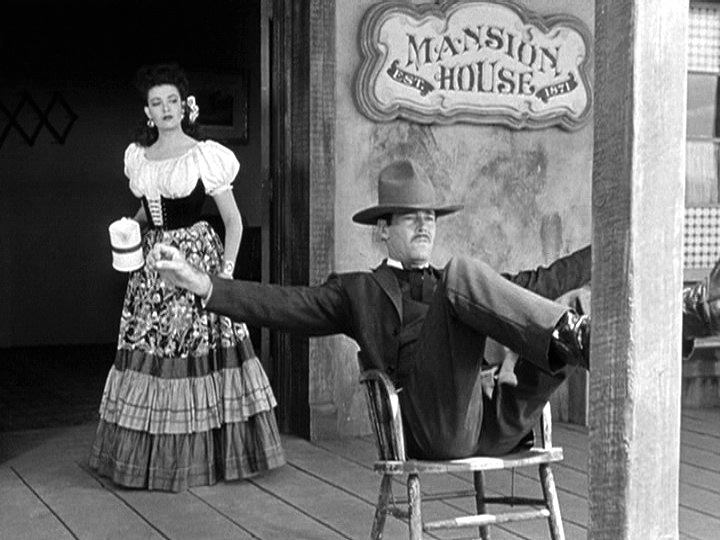 Laura has posted a review of Lesley Selander’s Shotgun (1955), a tough, gritty Western with Sterling Hayden, Yvonne De Carlo and Zachary Scott. This is one I haven’t given much coverage on this blog. It has an interesting production history, and one of these days I’ll get around to it. Luckily, I second most of Laura’s thoughts on the picture, especially when it comes to Yvonne’s hairstyle. It was an odd, and unfortunate, choice. 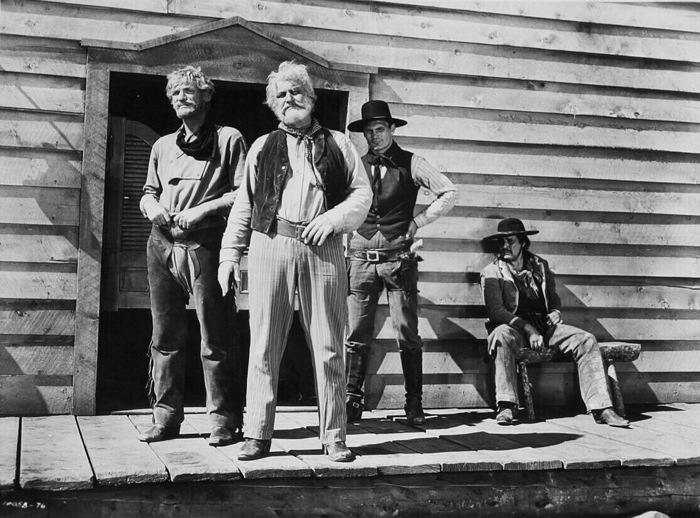 VCI has done a wonderful job with the DVD, part of their Darn Good Westerns Vol. 2. Recommended. I’m taking this one sitting down. This blog has received quite an honor — a place in the Comfy Chair over at Speakeasy. Being noticed is always terrific, and being singled out on a top-notch movie blog like Speakeasy, that’s really something. Two Years Of 50s Westerns. Just dawned on me that October marks the second anniversary of this blog. 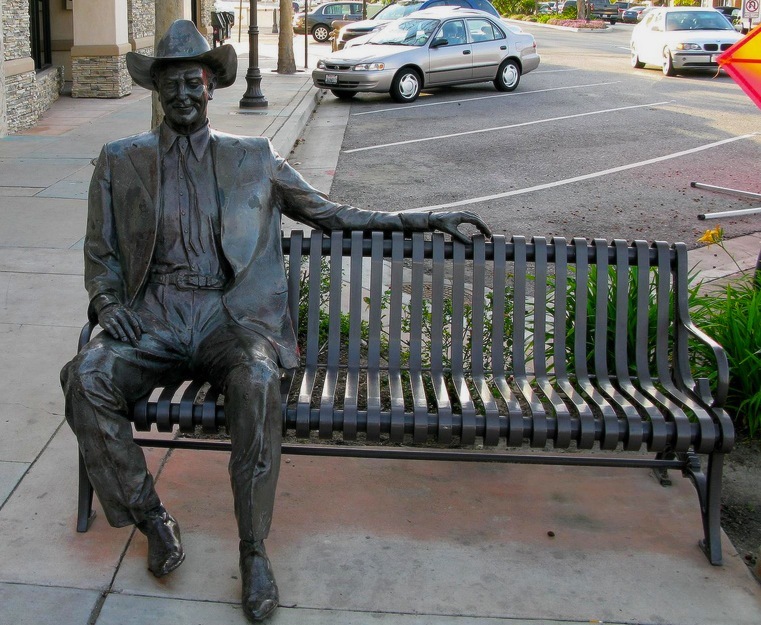 Seems like a good time to rest a spell on the Joel McCrea bench in Camarillo, CA. One of these days, I will sit on that bench. Thanks to all of you who’ve passed through 50 Westerns From The 50s.